Bif! Bam! Pow! 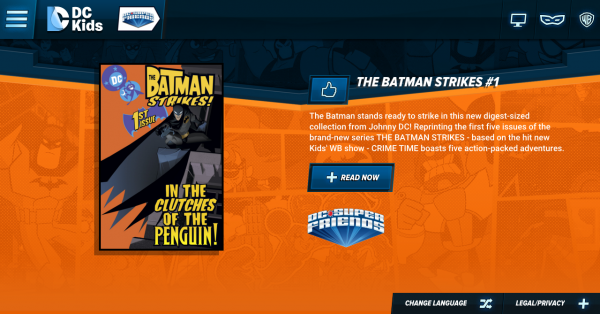 DCKids are Giving Away $100. Enter now! An older head can’t be put on younger shoulders. You’ve tripped on one of your tricks this time, Joker! Come on, Robin, to the Bat Cave! There’s not a moment to lose! 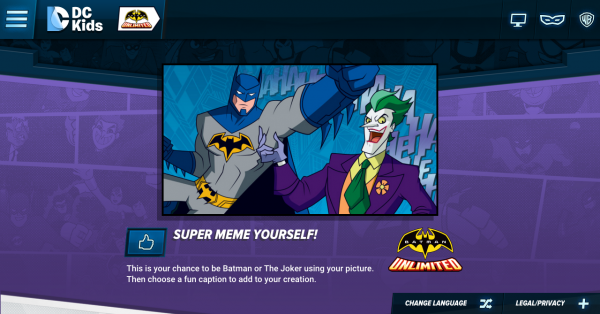 Thanks to modern technology and the big world wide web, we can continue to enjoy childhood classics, such as Batman, wherever we are. We love sharing the cartoons we grew up with, with our children. Thanks to DCKids Youtube Channel and their website, our children are easily entertained at home, in the car and especially when travelling. 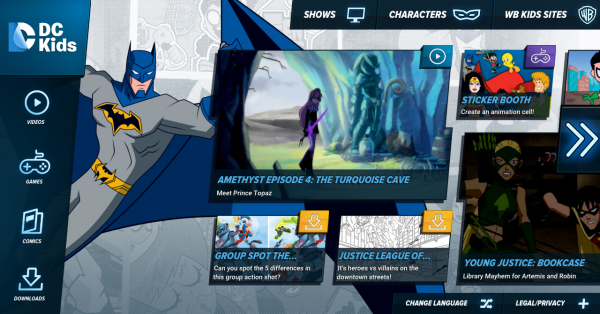 The DCKids YouTube channel makes it easy for our children, and yours, to watch their favourite mystery squad, on-demand, and from any device. DCKids is giving away a $100 gift card for Amazon. Simply watch the video below and enter for your chance to win today! 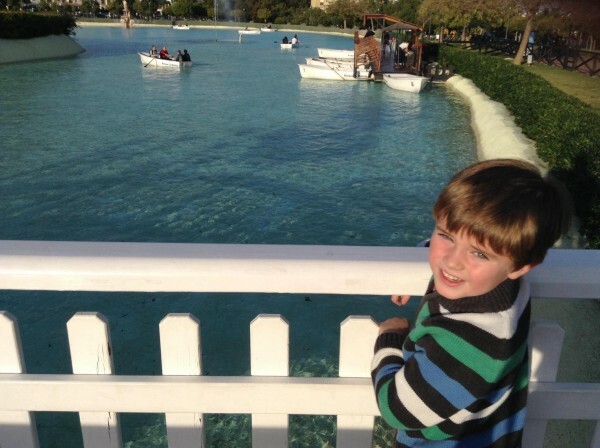 A Great List of Costa del Sol Family Days Out from Marianne. As parents, our children are the centre of our world. We love them unconditionally and there’s nothing we wouldn’t do for them. Living in Spain is one of the choices that most of us have made in order to give our children a happy, healthy lifestyle. We all know the advantages of living here; the climate, the opportunity to learn a new language, the value placed on family and so on. 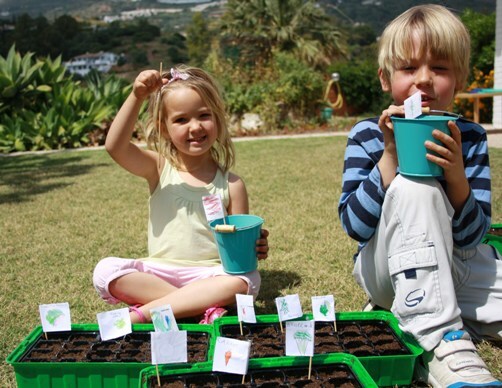 In our family, we especially value the opportunity to spend time outdoors and in the Málaga area there is no shortage of fabulous activities and attractions aimed at families, but they often come at a cost. Some of these places are very expensive for the admission price alone, and then they frequently require additional payments once you are inside. Extras such as food, activities, souvenirs and photographs can quickly add up and a fun day out can end up being prohibitively expensive. However, this doesn’t have to be the case. There are numerous places in the Málaga / Costa del Sol area where you can have a fun family day out for little or no cost which is one of the things that we appreciate most about living here. These are some of our favourite things to do and places to go. 1. Parque la Batería, Torremolinos. This park is full of fun things to do, there is no admission charge and ample parking is provided inside. My boys love to climb to the top of the Torre Mirador, look at the cannons, splash each other at the fountains, run around on the many open, grassy areas and play in the fantastic, large playground. The park doesn’t have a cafe, but there are some vending machines next to the playground. Rather unusually a ‘dummy tree’ gives you a place where you can hang your child’s dummy to give them an incentive to stop using one when they are at an age to do so, which I have never seen before or since but I think it’s a great idea. There is a huge, old-fashioned carousel which you do have to pay for, but it is only 50c per ride. There is also a big boating lake where you can hire a rowing boat for only €1 for 30 minutes and you can have a pleasantly relaxing sail in the sunshine. Or, alternatively, you can do as we usually do and spend the whole time trying to avoid crashing into other boats, shouting “look out!” and “sorry!” rather a lot, embarrassing yourself by getting wedged in under the bridge in front of amused passers-by, before eventually being called in at the end of your allotted time and trying to reverse rather amateurishly into one of the numbered bays! This is another place full of big, open spaces for energy-filled children to run around in and if you stop and look under the hedges and bushes there is a good chance you will see some rabbits hiding underneath! There are also freely roaming chickens, geese and peacocks as well as various other animals housed in enclosures which are located just behind the big playground. This has equipment suitable for younger children as well as other more adventurous climbing apparatus for the older ones. The park has a few cafes and some other smaller playgrounds scattered about, along with a big fountain and some rather wonderful metal sculptures of heads lying around on the grass which are large enough for children to crawl into. 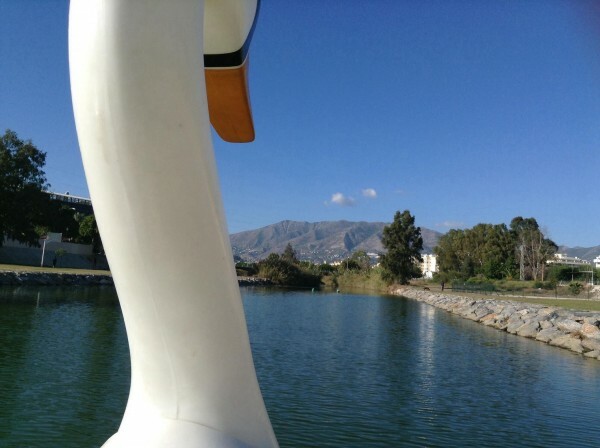 The lake is home to lots of ducks, geese, swans and turtles and you can hire segways and pedal powered carriages if you fancy travelling around the lake at a slightly faster pace! We love it here! There is lots of parking around the outside of the park, but it can get a bit busy at the weekends and in the Summer. There are two parts to Los Pedregales. There are the more-developed bits with playgrounds, picnic tables and open-air barbecue facilities which are very popular with families and which can get quite busy at the weekend. It is a good place to hold a birthday party if you aren’t averse to carrying all your party paraphernalia through a bit of overgrown terrain. This bit is also due for further development in the future as there are plans to create a dinosaur-themed park there and a go-karting track too. Or there is our favourite bit which is the wilder, undeveloped side of the park. We go in through the smaller side gate with the Adana sign (the rescue home for dogs is also through this gate and further up the mountain track a short way) where there are lots of pine trees (great for pine cone collecting missions but not good for dogs in the Processionary Caterpillar season) and rocky tracks leading down to a stream that rushes over the pathway at the bottom in the rainy season. We take our dog up there and we all love to clamber over the rocks along the stream and climb up the tree covered slopes at the top of the hill. Great fun for bracing walks, rock climbing and for burning off your children’s energy in the fresh air! The fantastic new boulevard is an ideal place to go for a walk/scooter/skate with the children, stopping en route at one of the many playgrounds. There are a couple of cafes too if you fancy stopping for a drink while your children play. My boys especially love the big skating park at the far end where they can ride their scooters in the large, open space and also the undulating bridge which they love to run over. This park is relatively new and hidden away in the industrial estate of San Pedro. It has a lagoon with some hungry ducks always eager to be fed, lots of open spaces, two playgrounds (one aimed at older children and the other ideal for younger children) and a kiosk which admittedly I’ve never actually seen open but maybe I’ve just been unlucky. There is also an adjoining area set aside as a dog park so its a great place to go with your dog too! This is another popular venue for birthday parties and it can get quite full with party goers at the weekends and competition to reserve the picnic tables can get quite fierce! Our favourites are the San Pedro and Estepona paseos, both of which have playgrounds on the beach and on the paseo itself along the course of them, as well as chiringuitos and cafes if you want to stop for a drink along the way. Paseos are a great way to spend a few hours on foot or on bikes and scooters. Benahavis has two excellent parks for children. The first one you will come to, which is on the left just as you drive into the town has a lovely little playground, a lake, a waterfall, open spaces to play on the grass and even an amphitheatre where children can put on a ‘show’ on the big stage area. There are pathways that you can walk or ride along, beautifully tended gardens and picnic tables too. In the lake we have often seen turtles and even a water snake. The second park is further into the town, right opposite the school and this has a nice little kiosk. There are lots of play facilities for all ages and it is also a popular location for birthday parties. My boys love visiting this castle. They like to climb up to the top to see the great views and enjoy going into the little exhibition rooms. There is one room where you can have a try at fencing and others that offer historical information and displays of relics. Next door to the castle is a park with a playground and a wishing well. It is all nearby to the beach as well so there are lots of opportunities for playing here. And if you happen to find an orange frisbee somewhere in the trees at the back then it is ours! This is located opposite the Bárcelo hotel and for just 1€ you can get a bucket of 25 golf balls to use on the driving range. It is suitable for adults and children and there are golf clubs that you can borrow if you don’t have any of your own. There are a couple of putting greens where your little one can practise their finer golf skills and a big grassy bunker where they can whack the balls with a little less finesse! 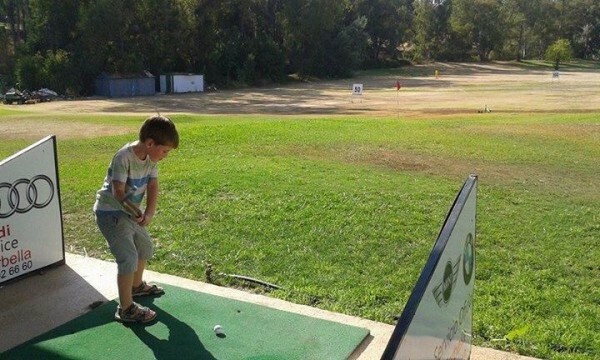 Golf lessons are available if you discover that your child could possibly be a golfing genius and there is a cafe where you can enjoy a drink while watching all of the golfing action. The castle grounds are a great place to run around and there is the added opportunity to have fun on the water for the more energetic types. There are pedal boats that you can hire for a few euros for 30 minutes (30 minutes has never seemed longer than when I was pedalling a swan full of excitable children with my rapidly tiring legs, to the shouts of “faster, go faster mummy!” coming from the smaller passengers in the back!). There is also a zip line going over the water and a cafe on the water front. We have never actually seen the castle open so I can’t comment on what is inside those elusive walls as that remains a mystery to our family! Just before you get into Benahavis town you can park up on the right hand side and explore the river walks. There are places you can swim as well as more adventurous routes that you can follow through rocky terrain and water. In the Summer it gets very busy and it can be difficult to park but it is a fun way to spend a few hours and get some exercise too, all for free! 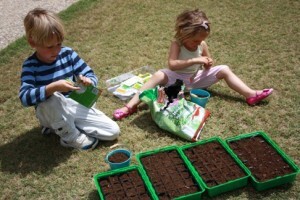 So keeping your little ones entertained needn’t cost the earth. These are just some of our favourite things to do and chances are you have your own family favourites. I would love to hear about them as we are always looking for new, fun and more importantly, inexpensive things to do! NOTE From Lisa: Click on the Google map below to get directions to these places and many more. Where else should we add to our @FamilyInSpain Costa del Sol Family Days Out That Don’t Cost The Earth map? Marianne Hill is a primary school teacher who, in those rare, quiet moments when she is not surrounded by children at work or at home, can usually be found either writing articles or blog posts, reading, listening to music or posting on Facebook. Alternatively she could be out running or cycling around the Estepona area of the Costa del Sol of Spain, where she lives with her partner Neil and their children Sam, 6 and Henry, 4. 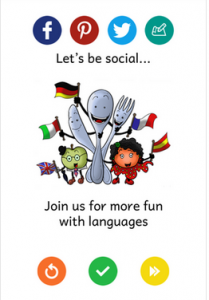 Ramblings of An Expat Parent Abroad : Our Ten Year Old Son’s Adventures. Where do I start? How do I explain? Do I know what I want to say? If I can’t get it right in my head, how can I get it right on paper? Or, at least, vaguely comprehensible, for the person reading it. Ah, got it. Putting it on paper, as it comes out and then re-reading, re-writing and re-thinking … Yep. That’s how I’ll do it. Ok. Let’s start with the right here, right now. I’ve just come home from a school meeting. Our 10 year old son ( yep, I said 10, remember that! 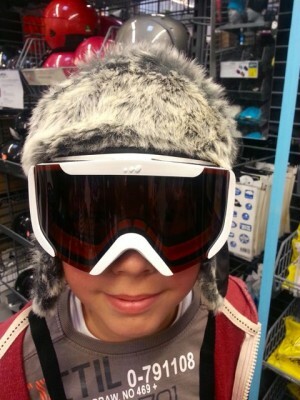 ), is going on his first overnight ski trip to the Sierra Nevada in 2 weeks time. Is it 2 weeks? OMG. It’s on January 28th. Ok 13 days. Hmphhh. And sometimes you just need to jump off the ride and gather your thoughts. Back track and work out whether you’re screaming for joy, or screaming in fear. 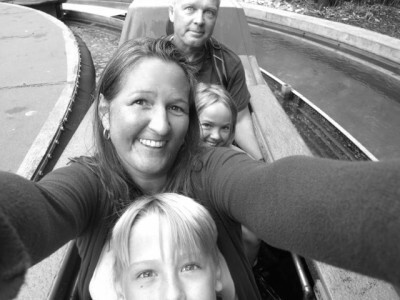 This is us enjoying the rides … totally soaked but loving it! I’ve just managed to stagger off the education waltzer. (Yep. That’s another mind boggling post I’m waiting to share with you) I’ve being whirring round and round in circles for a few months. The ride finally ended and my dizziness was starting to clear. It is literally a non stop ride at the moment. Maybe adding some bullet points will slow things down. I need to put my thoughts about each of the above points in writing, but that will take time. You know, like needing to hold onto something and clear your head, as you step off a fairground ride. If you jump off and walk away, you’ll probably fall flat on your face. When you experience these rides, you need time to process it all and to be able to think clearly. Shrieks of joy or shrieks of fear ? So, back to the Sierra Nevada Trip. In a couple of weeks, 36 pupils, aged between 10 and 11, from our son’s Spanish state school, will be going to the Sierra Nevada, for two days of fun. They will travel via coach, leaving the pueblo early on Thursday morning. On arrival they will be kitted out with the necessary equipment and will receive 5 hours of instruction, with one instructor per eight pupils. That night they will eat and sleep in a hotel in resort. The following day, they will have breakfast in the hotel and then head to the slopes for another 5 hours of instruction in their groups. They will then jump on the coach and head back home (To their eagerly awaiting parents). It was decided that, due to the short duration, all the children would have snowboards lessons. This year, 2015, is all about family travel and family fun, for us. We have several trips already booked and are looking to fit in as many more as possible. When Joshua, our 10 year old, first mentioned the Sierra Nevada trip, which was only a vague possibility at that stage, hubby and I both agreed that we didn’t think it was a good idea. We have both worked in ski resorts (in our child-free days) and we really want the children to have an enjoyable first skiing experience. As a result, our first family skiing holiday is yet to happen. (Although we have now booked to go to Andorra in Semana Blanca this year … Yippee!). We both agreed that 2 days was not enough to get a good feel for the sport. Time went by and the possibility became a reality. Somehow he just ended up with his name on the list and the deposit paid. Luckily, attending the meeting, this evening, eliminated any doubt I may have had. It is so exciting. 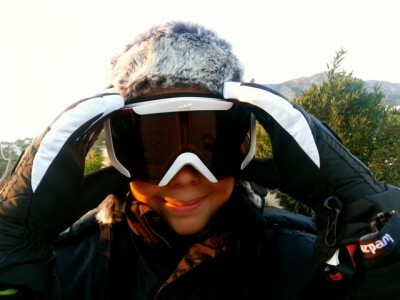 He is 10 years old and he is going to a ski resort with his classmates, and they are staying overnight. What an experience! As a parent, I believe the more experiences we give our children, the more open and well-rounded they become. Even if it is not always easy for us. Oh, and that mobile phone that I carefully convinced him that he didn’t need, despite the fact that most of his friends have one, is now on order. He doesn’t know yet. But, in this instance, I feel I want him to have a phone so I can speak to him whilst he’s away. It will only be used in these instances. When he comes home, the phone will be put away. I’m not ready for him to take that path yet. Around a third of 10-year-olds have a cellphone. By the age of 12, the figure is 70 percent, and by 14, 83 percent. A fifth of 11-year-olds have a social network profile. By age 12, that figure is 50 percent, and by the age of 15 on, 90 percent. Sources: National Statistics Institute and the Interior Ministry. The world is changing at in incredible speed. 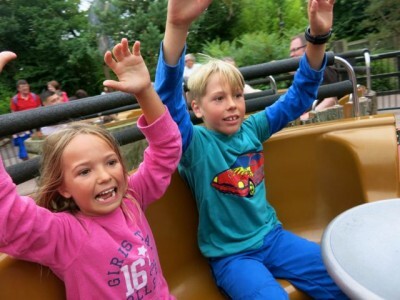 Learning how to jump from one ride to another, without getting dizzy and falling flat on our face, is one of the many skills an expat parent abroad has to master. So, ski gear shopping has begun and the roller coaster carriage is slowly chugging upwards … this is going to be an incredible ride! Joshua, all kitted out and ready to go to Sierra Nevada! A Visit to MIMA Malaga 2014: Great for Kids! 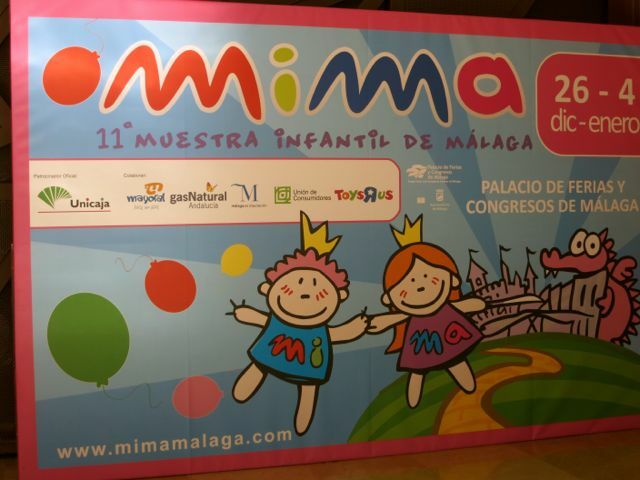 Yesterday we made our annual visit to MIMA Malaga at the Palacio de Ferias y Congresos in Málaga. 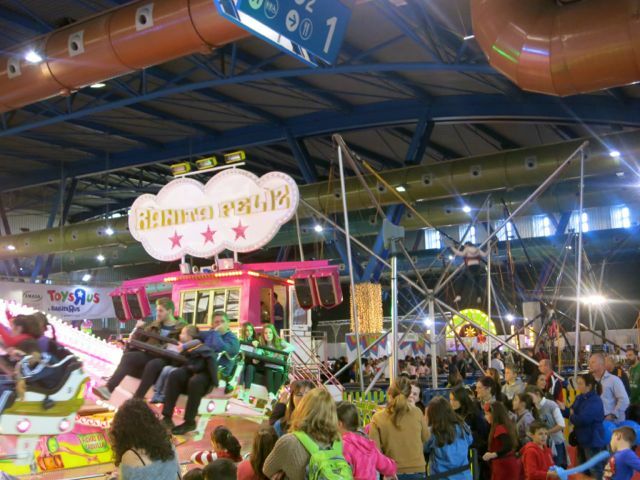 MIMA Malaga is basically like a huge indoor play area and fairground for children of all ages. 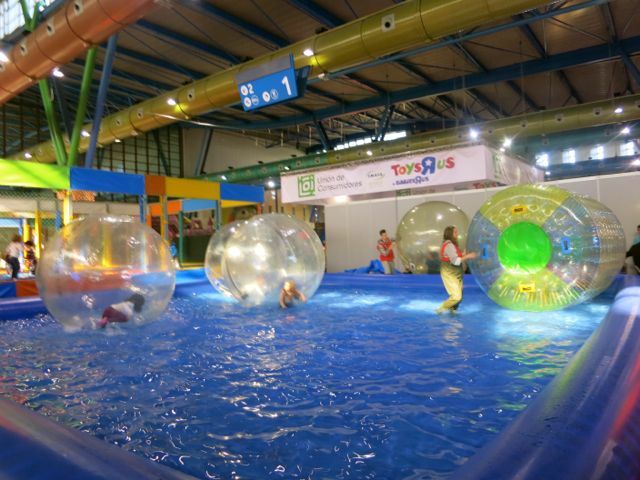 For only €6 per child and €5 per adult, you can enjoy hours of fun! The event is designed for leisure and family entertainment during the Christmas holidays and takes place each year, at the Trade Fair and Congress Centre of Malaga, FYCMA, around the dates of December 26th to January 4th. It is an indoor amusement park with over 60 recreational, sporting and educational activities where children, between 2 and 12 years, learn and play. 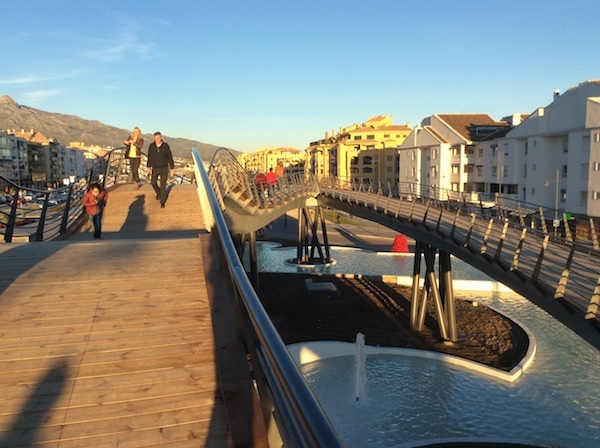 The fact that is it all undercover means that it can be enjoyed whatever the weather, even though we are lucky to have blue skies and sunshine in Malaga, for most, if not all, of the festive season. Sponsored by Unicaja, MIMA closed its doors last year having had more than 32,000 visitors, 67 activities and 40 visits to schools. Not surprising really when you get so much for such a small amount of money! Get there early as it gets very busy. Mornings tend to be quieter than evenings. Book your tickets online at least the day before to avoid ticket office queues (https://www.ticketea.com/-entradas-mima-2014-muestra-infantil-de-malaga/) NB: You cannot buy them on the same day! The queues only get longer so just get in line for the activity or ride you want to enjoy and be ready to entertain the little ones while in the queues. Although advertised for up to 12 years, most of the activities are better suited for up to 10 years. It is loud! If your children do not like busy, noisy places then it is not recommendable. If you plan to stay for lunch there are a few options but, again, eat earlier if you can to avoid the queues or even take your own picnic. From Friday 26 December to Sunday 4 January, from 11.00 to 21.00 hrs. Closed: Wednesday, December 31 and Thursday, January 1st. General admission includes all rides and activities at MIMA 2014 except climbing wall with zip line 2 €; pool areas, 2 €; and Rink, 3 €. 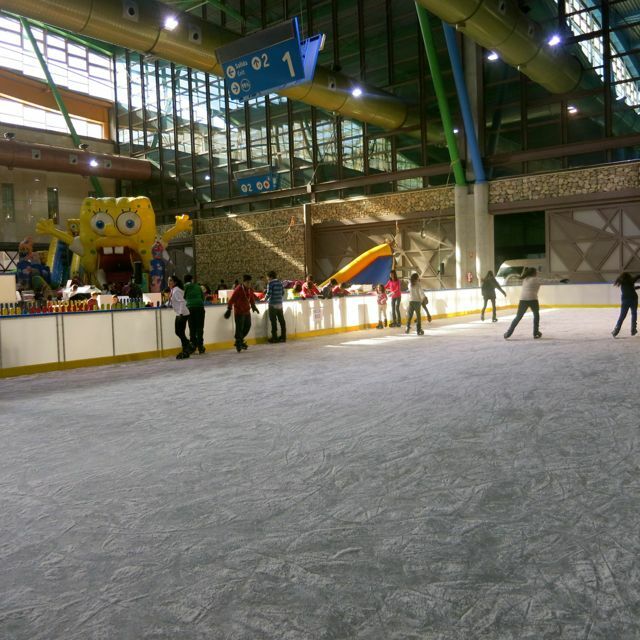 In the Ice Rink is compulsory to wear gloves. 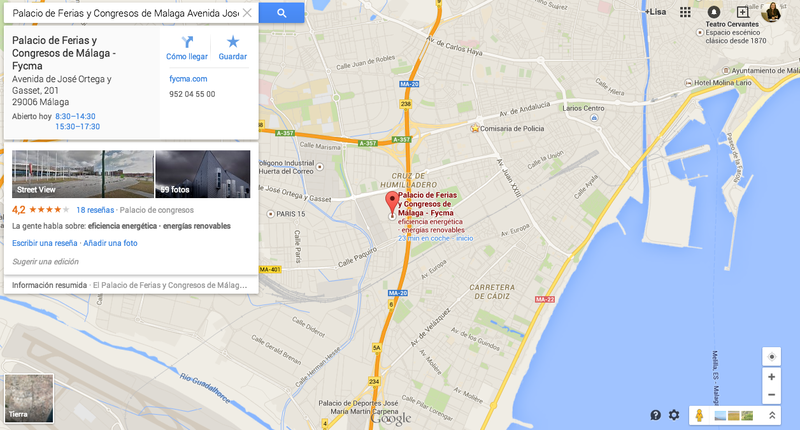 Click on this to access the Google Map and get directions. Palacio de Ferias y Congresos, Avenida Ortega y Gasset, 201. 29006 MÁLAGA. 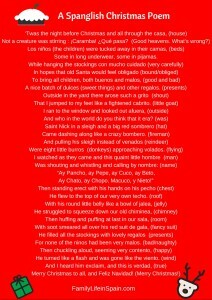 We love this Spanglish Christmas Poem, based on the well-known English “‘Twas the Night Before Christmas”. Read it to your children, they are sure to love it! We’ve added the translation of the Spanish words in each line for you. Wishing you all a wonderfully ¡Feliz Navidad! Some in long underwear, some in pijamas. As Christmas draws closer, radio channels, TV shows and even shopping centres all play Christmas songs on a more regular basis. Here in Spain, the celebration of Christmas seems to get bigger every year. 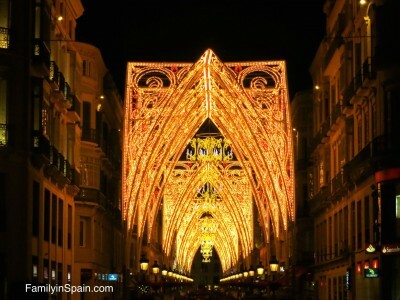 So, let me ask you a question: How many spanish christmas songs (villancicos) do you know? Driving back from ballet class, yesterday afternoon, Francesca, from the back of the car, said “Actually mummy, I don’t think I know any Spanish Christmas songs” … Yep. It was one of those “bad parent” moment feelings. This was her seventh Christmas in Spain and she doubted her ability to sing along with her friends. So, what did I do? I reminded her of the English Christmas songs we knew and broke into a terrible rendition of one of my childhood favourites … Little Donkey. And a promise to print out some lyrics to some Spanish Christmas songs that we could learn together. Here you have a start. Our Family in Spain list of Spanish Christmas Songs for Children. veros a un niño en la cuna. There are so many versions of The 12 Days of Christmas that we thought we’d end with a fun version by Phineas and Ferb. Remember to send us your suggestions to any other Spanish Christmas Songs for Children that you think we should add. However long you’ve lived abroad, it’s the momentous occasions which remind you that you’re living in a foreign country and that some things are just not the same as at home, wherever home may be. Having a baby is just one of those times! It’s important to get checked up as soon as you suspect you are pregnant and so first you need to decide if you’ll be going down the public or private healthcare route. It may not be as simple as making a personal choice when having a baby in Spain. Some private healthcare plans require you to have had insurance cover for a certain period of time before falling pregnant. On the other hand, some expats may not qualify for public healthcare under the social security system. If you are not entitled to either state or private healthcare, you may have to “pay as you go” with a private doctor or gynecologist, or make a one off payment to an insurance company to cover your care during pregnancy and birth. If, on the other hand, you qualify for private and public healthcare, you may choose to visit both doctors in the early stages so that you can make an informed decision as to which system (and doctor) suits you best. Many choose to have their check ups with a private doctor and then give birth in a public hospital – often regarded to be the best place to have your baby if there is any risk of complications. Some future parents need the reassurance provided by an antenatal course prior to the baby’s arrival. Many of the public health centres run short courses in Spanish where midwives will take you through what to expect. Unfortunately most seem to be run during the day making it tricky for those who work. If language is a problem or if the classes clash with your availability outside work, there are private options. On the Costa del Sol the most popular is run by two Irish midwives www.irishmidwife.com. The course is spread over four weekly evening sessions of about three hours. Both of the midwives have children themselves and extensive experience of working in the public and private hospitals in Marbella and Malaga and so are ideally placed to answer any questions you may have on which hospital to choose and what to expect. In the course they cover hospital policies, labour, exercise, breastfeeding, paperwork and much more. Home births are very rare in Spain and most babies are born in the hospital. Your first port of call if you go into labour is to check in at the URGENCIAS department. You should have with you your passport and social security card (if applicable) as well as everything you will need for you and the baby during your stay, and your birth plan (in Spanish). You can download a birth plan template HERE which may help you to complete yours. Certainly in Marbella’s Costa del Sol hospital there is some provision for those aiming for a water birth but very few of the midwives are trained in this specialism and so it is available only to a few mothers to be on a first come, first served basis. You should include in your birth plan any preferences you have for pain relief (although they won’t hold you to it should you change your mind half way through!) There is no gas and air in Spanish hospitals (except in some private hospitals) but pethidine and epidurals are readily available. The public hospital in Malaga also provides excellent care although it is regarded as more old fashioned in its approach to childbirth which some expat mums to be may find off putting. While in the private hospitals you will be accommodated in a private room where your partner can sleep on a sofa bed near you, expect to have to share a room in the public hospital with one other new mum. In the Spanish health system, your family are expected to provide you with the support you need in the hospital – helping you to wash, use the bathroom, eat, etc. Of course, if no-one is available then the staff will help but the new baby’s father will be encouraged to stay overnight (or another family member) despite the fact that they will probably only have a rather uncomfortable chair to sleep on! It’s good practice for when the baby keeps them awake in the months to come! The Spanish healthcare system has been accused of being too pro caesarian section, especially if you have had one previously. Spanish babies are, as a rule, smaller than northern European babies so you may find that you are encouraged down the surgery route if your baby is expected to be over 4 kg. In other European countries, fathers are allowed to be present in the operating theatre. This is not the case in Spain. Assuming the baby is healthy and there are no problems, after a c-section delivery the baby will be held near to the mother for a few moments skin to skin, before being whisked away to the father patiently waiting outside. The mother will then be taken down to the recovery ward for around two hours. During this time, baby will be washed up, weighed, dressed, thoroughly checked over by the pediatrician and given his or her initial injections. Once mother and baby are reunited, the nursing staff will briskly assist with breastfeeding positions each time they check up on you both. The public hospital wards are busy, noisy places with lots of comings and goings – be prepared to be checked over regularly throughout the night whether or not you and your baby are getting some well deserved sleep! Door slamming is not unusual! When the hospital staff decide you and your baby are ready to leave the hospital they will discharge you separately. The baby will be checked over and signed off by the pediatrician; the new mother will be examined by the gynecologist before being given the all clear. The mother is issued with a “baja”, or discharge, plus any prescriptions needed for her immediate future care. A number of documents are issued for the new baby including paperwork detailing any vaccinations already given and a baby book in which future healthcare appointments/vaccinations should be recorded. The baby will also be issued with a very important yellow form which is vital for baby’s within eight days after birth. It’s called a Cuestionario para la Declaración de Nacimiento en el Registro Civil – check the information on this form as it must be 100% correct and duly signed by the midwife or doctor who delivered your baby. The hospital will also issue a certificate to confirm that the baby’s birth has not been registered by the hospital. Talking of names, my husband was asked what the baby’s name would be while I was having my caesarean section. Thankfully we’d more or less agreed the name beforehand as it was recorded at this time! I’m sure we could have changed it if necessary but I suggest you either know 100% or tell them you are not ready to provide a name in order to avoid future documentary complications! In many European countries midwives or health visitors will visit the new mum and baby at home regularly after the birth. This is not the case in Spain where most new parents rely on support from their families. Midwives are available at local health centres if you need help and you will be encouraged to meet with a pediatrician, whether private or public, early on in order to check on baby’s progress. On the Costa del Sol there are private English speaking midwives who are available to visit you at home (for a fee) to answer any questions you have, check on the health of new baby and mum, help with breastfeeding and general baby care queries. In addition, many run baby groups where you can meet up with other mums to trade advice, woes, achievements and concerns. There are several formalities to complete before you can settle into your new life as parents. The most important in terms of time limits is to register the baby. It is mandatory if your baby was born in Spain, whatever your nationality. If you have signed on the Padron where you live, you can register the baby in your local Registro Civil. If you are not on the Padron then you will need to register the baby in the town where he or she was born. Click here for more information on registering your baby in Spain: http://familylifeinspain.com/how-to-register-a-birth-in-spain/. Remember to ask for a full birth certificate (Certificación Literal) if you intend to apply for a non-Spanish passport for your baby. Obviously the passport application procedure is different for each country but for the UK, you now need to apply online and then send the required supporting documentation to Belfast. This includes baby’s original long birth certificate plus a translated, certified and apostiled copy, parents birth certificates and, in some cases, a grandparents birth certificate. Most towns have a business centre with staff who can check the supporting documentation for you as well as taking baby passport photographs which fulfill the strict criteria. Once you have been issued with a Libro de Familia by the Registro Civil, you can proceed with the other formalities. For us it was important to register her with Social Security so that we didn’t have to pay to have her vaccinated privately. As long as one parent is paying social security, the baby is entitled to cover (although by law a child cannot be refused public healthcare treatment in Spain). The procedure involved a few trips between the medical centre and social security office with various pieces of paper issued by each, and a lot of patience. Devote a morning to the job in order to get it all out of the way in one go and make sure you take your passports, NIE / residencia certificates and copies! We were also asked for proof that we had applied for the baby’s passport. If you are claiming maternity and paternity pay, you’ll need to visit your doctor in the local health centre to be signed off and issued with the appropriate paperwork which also needs to be submitted to the social security office along with their form Prestación Maternidad-Paternidad por Nacimiento, Adopción o Acogimiento. Hot off the press: Our book about Moving to Spain with Children has just been released by U P Publications. Available for Kindle on Amazon, due out any minute as a Paperback. As we mentioned in our first post about the book , if you search online you will find a multitude of books about Spain; books set in spain; books about: moving to Spain; books about living in Spain and people’s stories about moving to Spain from UK. However, there is very little information available about Spain for children and almost nothing about Moving to Spain with Children. ON SALE IN PRINT AND KINDLE NOVEMBER 2014!!! Don’t even think of Moving to Spain with Children without reading this essential self-help manual. Compiled by a successful British working Mum who has experienced the relocation roller-coaster for you – the highs, lows and occasional shrieks of panic – it could save you months of hassle and heartache. … and other considerations crucial to ensuring a smooth transition to your new lifestyle. 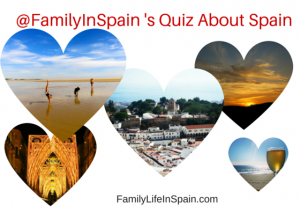 Living and loving family life in Spain! If you’ve ever wished for the gift of hindsight, Moving to Spain with Children is just that: a gift of a book! 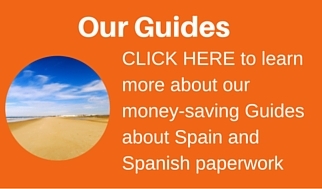 We have been thinking about retiring from the US to Spain for a few years now, and have attempted to research the possibility on and off on-line, getting frustrated with the often outdated and conflicting information, no doubt partly because of Spain’s frequently changing rules and regulations. 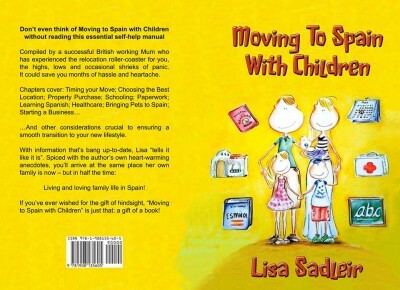 That’s why we were delighted to find Lisa’s book “Moving To Spain With Children’. Even though it’s geared towards families with children, with lots of practical information about education and ideas to help children adjust, it had all the other information we were looking for as well, all in a concise and easy to read book. At no point is Lisa trying to sell you a dream life in Spain, instead she provides fact based information, ideas to consider, and real life experiences. These are some of the other topics we specifically enjoyed reading about: pros and cons of locations to consider, the value of speaking the language in various areas (and how to learn), healthcare options, registration and residency rules, and considerations for renting and buying property. She even covers topics like starting a business in Spain, and bringing pets into the country. She basically covers subjects we haven’t even thought about, and all in a practical to-the-point fashion. And best of all, Lisa has several ways to connect on-line for all the latest updates, and can even be reached for consultation. All in all we have nothing but good words for this book, which we’ll keep with us for reference. It is well worth the money spent. 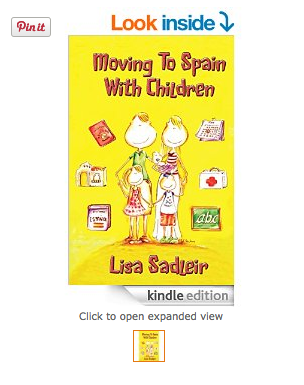 Thanks to Sadleir, this book can solve any problem which may arise when moving your children to Spain. This extremely comprehensive book covers everything, from the essentials, choosing your location and time of year in which to move (a classic error for many), how to cope with the language and cultural barrier, to the most important aspect for parents, the education of their children. The education section alone is stand-out, covering all ages and needs, with real-life experience from parents and children. Another huge consideration, healthcare, is fully explored, with options to suit the needs and budgets of all families through the country. The NIE process, Número de Identificación de Extranjero (basically a foreigners pass) can be fraught with trouble. The book covers the process for EU members, though many steps are also relevant to non-EU members, provided you have completed your paperwork at the Spanish embassy in your own country first. The process of registering on the Padrón, having yourself registered with the town hall, is included and essential. Dependent on your home nation, your circumstances and even the mood of the staff member you encounter, gaining NIE or residency can be a real mixed bag, so having this information laid out could be a huge help for many. When I first moved to Spain, I managed to gain an NIE through a bit of a backhand deal, simplifying the process, but even then I had to jump through fiery hoops at the embassy. There is no such thing as being over-prepared. The never-ending trials and tribulations of purchasing a property and starting a business in Spain is fully covered, along with more personal experiences and examples to help you, along with (finger crossed) simpler matters such as money and banking considerations. Another section is extensively devoted to bringing your pet to Spain (something I’ve never even thought about), for those furrier family members. The book finishes with things to consider when leaving home and a reminder not to burn your bridges before you leave. Moving to Spain is an incredible experience, but the move can be difficult. I have seen plenty of people fail at the experiment, right down to a husband at the airport, begging his wife not to leave their new life behind. This book would appeal to anyone moving to Spain, even if there are no children to consider, with practical and realistic advice. But when moving your children, so many issues need to be well planned, and I wish this book had existed when I first embarked on life in Spain. Finally, solid advice all in one place, from someone who has succeeded at Spanish life. Even if you’re just visiting Spain for a couple of weeks in the summer, it’s imperative to know the law on child seats and seatbelt use. The laws are there to protect you and your passengers. Failure to comply could result in a hefty fine or, much worse, an injury to one of your loved ones. In Spain, all drivers and any passengers travelling along urban roads or highways in a motorised vehicle are legally required to wear a properly fastened seatbelt and/or child restraint. It’s prohibited for children under 12 to travel in the front seat unless they are in a car seat designed specifically for that purpose, or they are at least 135 centimetres tall, in which case they are allowed to use an adult seat belt. Those measuring less than 135 centimetres in height must use an approved child seat or harness, suitable and appropriate for their height and weight, while those measuring between 135 and 150 centimetres can use either an approved child restraint or the adult seat belt. These rules have been set out in the Spanish General Traffic Regulations and any failure to comply is regarded as a serious offence punishable by 200 euro fine (or 260 euro for a repeat offence) plus 3 points off your license. For the purposes of this law, it is the driver who is primarily responsible, followed by the owner of the vehicle who has subsequent responsibility. Currently, the Prosecutors’ Office for the Protection of Minors has the power to suspend parental guardianship or enforce protective measures if parents are punished three times or more for failing to use adequate child protection restraints in a vehicle. 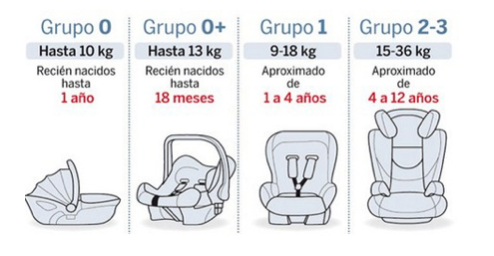 Using the Correct Car Seats in Spain for your child. The car seat should correspond to the height and weight of the child and be an EU approved design and make. Car seats are classified into groups 0, 0+, 1, 2 and 3 with some seats covering more than one group. The back of the car seat should be clearly labelled with the name of the manufacturer along with data showing compliance with the most recent legally required standards (currently ECE R44/04), upper and lower weight limits for the child and the seat’s serial number. Infant carriers / carry cots designed specifically for newborns and babies weighing up to 10 kilos. These must be installed in the back seat of the vehicle, transversely along the seat with the baby’s head facing into the car to best protect him or her in the event of a side impact collision. Car seat designed to be used in the back seat of the vehicle, or the front seat but only if there is no passenger airbag or it is disconnected. These seats are always rear facing. Baby is protected by the integrated harness and the child seat is anchored to the vehicle. In a Group 1 Child Seat, the child is attached to the chair and the car (via a harness). These chairs can be forward facing or rear facing. It is very important to adjust the seat as the child grows to avoid any gaps in the harnesses and seatbelt installation. It’s possible to use an Isofix anchor with Group 1 seats. This booster seat with back support enables the vehicle’s 3-point seat belt to be adjusted to secure the child, fitting snugly to his or her body. The child can travel facing forward in the front seat or the back. This booster seat can be used forward facing in the front or back seat of the vehicle. It’s best to leave it as long as possible before moving your child up to the next group of car seats. During the period when their weight overlaps the two groups, babies are much safer travelling in a Group 0+ car seat than in a Group 1. Additionally, it’s recommended that you use a Group 2 booster seat with backrest until the child measures 135 centimetres or above, as long as this is possible within the usage guidelines for your chosen seat. IMPORTANT TIP: Ensure you pre-order the correct car seat for your child at the time of making a car hire reservation. Last minute child car seats are not always easy to find and it can be a stressful start to your journey.